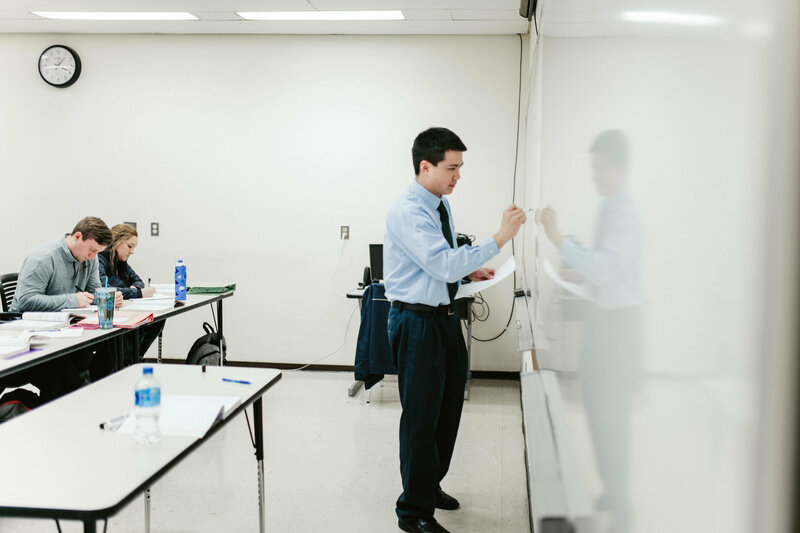 The Department of Business Services at Glen Oaks Community College offers a variety of professional and personal development training for business and industry. Individuals will also find options for their professional and personal development needs. Whether it’s customized training, small business and entrepreneur resources, or professional development, Glen Oaks can meet your business and professional learning needs. 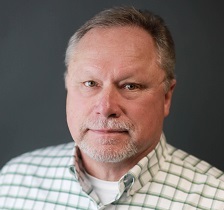 Business Services at Glen Oaks specializes in workforce development and training that supports business and industry in reaching and maintaining excellence and a competitive advantage in the marketplace. Training options include customized training, online training, apprenticeships, and health care specific options. We pride ourselves in meeting needs through flexibility, creativity and communication. Additional services offered through the Department of Business Services at Glen Oaks includes providing a variety of seminars and on-campus training options, managing training grants, and offering on-site facilities for company use. A list of additional resources and links is also available to assist in providing information in a variety of areas. 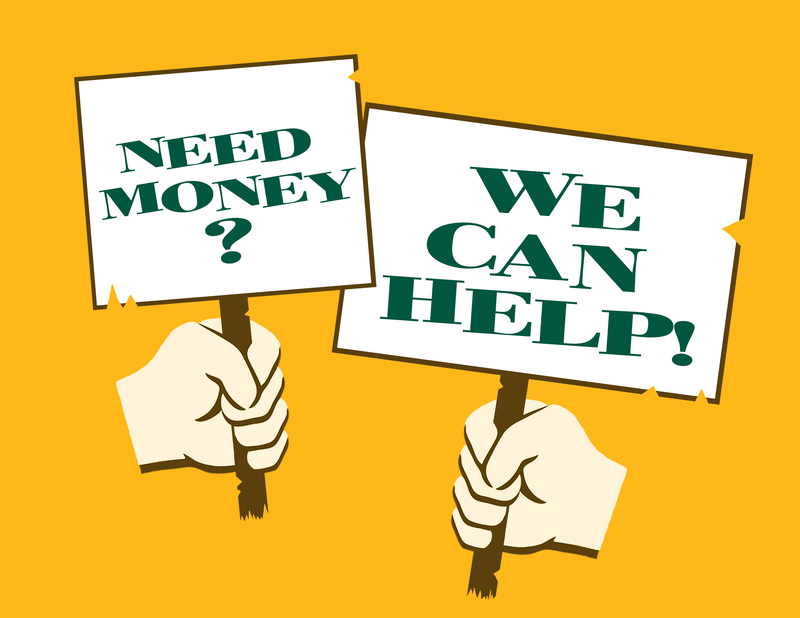 If you do not see your specific need covered, please do not hesitate to contact us to discuss additional options. A system of career preparation for those careers that do not lend themselves to preparation by classroom setting alone. Combines on-the-job learning and formal education. Provides structured learning, advancement and progressive compensation. Driven by a sponsoring employer. Includes program choices from over 900 occupations. Are both union and non-union; the rules are the same for either group. How does an employer start an apprenticeship program? Work to establish classroom hours and who will provide the training. Develop a schedule of on-the-job hours. Create document to register the program with the DOL. Visit the Michigan Apprenticeship website and/or the United States Dept. of Labor – Apprenticeship page, or contact Patricia Morgenstern, Dean of Academics and Extended Learning, with any questions. 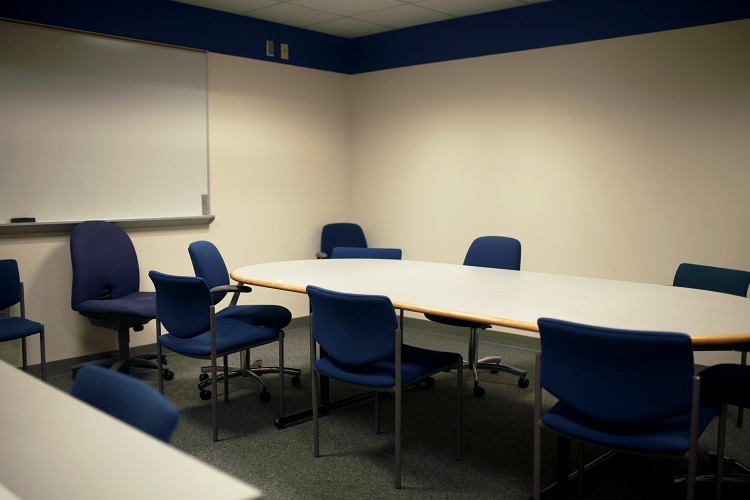 The Administrative Conference Room (ACR) is perfect for a small meeting. It can seat up to 8 people comfortably and is equipped with a dry-erase board and a conference phone. Classroom sizes and features vary. 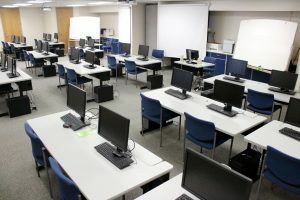 There are computer labs that can accommodate upwards of 20 people as well as standard classrooms. All rooms are equipped with dry-erase boards. Rooms with projectors are also available. 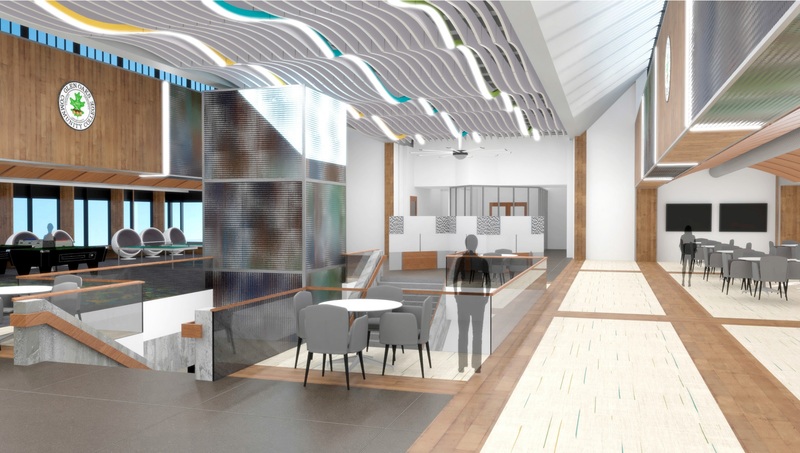 Our newly renovated Concourse is slated to open during the winter or spring semester of 2019. Keep an eye out for a picture and more details coming soon. This conference room can hold approximately 80 people depending on the setup of tables and chairs. It has a screen for use with an overhead projector as well as an available sound system. The room works well for small and large groups. With newly-updated computers and software, this computer lab is a great resource for your business’ computer and technology training needs. 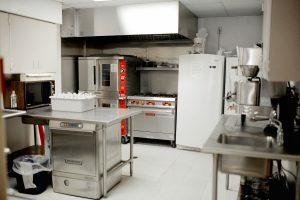 Each lab contains 15 work stations and a removable wall easily coverts the two rooms into a larger training facility. Event catering is available through the GO Cafe. Due to our Concourse renovations and the temporary relocation of the GO Cafe, the catering kitchen is not a currently available space. 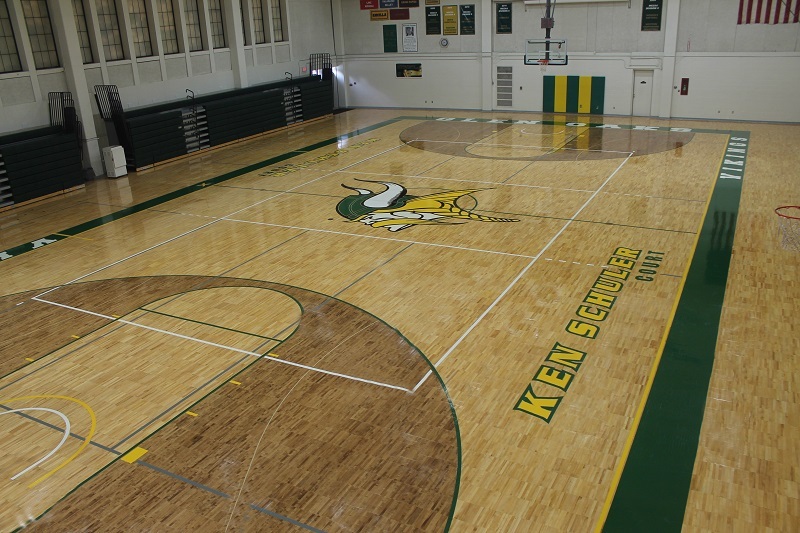 The Ken Schuler Gymnasium was resurfaced in the summer of 2017 and is the home to Glen Oaks graduation ceremonies, sporting events, and job fairs. The gymnasium has plenty of space to accommodate even the largest groups. Bleachers can be opened or closed for extra room and there is a built in microphone system as well as a spotlight available. 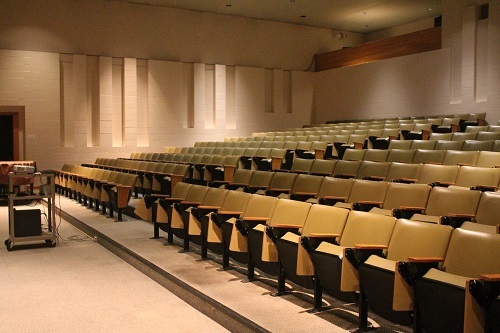 Located in the college’s D-wing, the theatre provides a more formal atmosphere with its built-in sound system, stage and ability to seat up to 260 people. Features include a piano, portable dry-erase board, and a large projection screen (computer/projector can be made available for use). For rental and pricing information, please contact Diane Zinsmaster, Executive Associate to the President. For over a decade, Glen Oaks has been involved with grants that provide funding to area businesses for training. Please contact Paul Aivars, Director of Business Outreach and Services, if you are interested in learning more about grants. An internship is any carefully monitored work or service experience in which a student has intentional learning goals and reflects actively on what he/she is learning throughout the experience. An internship provides a chance for students to apply learning and to gain valuable real-world experience. For a business, an internship allows for involvement and input in the educational process of a future workforce, which can then have long-term impact on the business community. Internships are a minimum of 135 hours and up to 240 hours and are typically spread over a 15-week period. 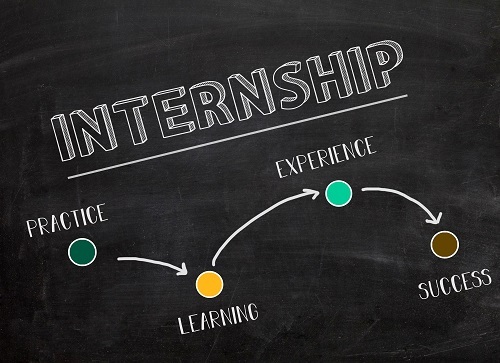 Internships can be paid or unpaid, depending on the company and what is required of the student for the position, and they are connected to an educational program with academic credit. An opportunity to evaluate prospective employees while they work. A source of current technology and ideas that can increase an organization’s intellectual capital. A management opportunity for mid-level staff. If interested in participating in the internship program, please contact Dawn Wood, Executive Assistant to the Dean of Academics and Extended Learning. Glen Oaks has a large variety of online continuing education and professional development classes available to anyone with internet access. Most classes are 6-weeks and costs vary buy course. Topics range from language and computer courses to courses for entrepreneurs, grant writers and nonprofit managers. Ed2go provides training for individuals desiring to hone, improve and upgrade their workplace and personal skills. Glen Oaks offer a variety of professional development opportunities online through ed2go including Healthcare continuing education courses. On Campus Options are also available for our Health Care offerings. Glen Oaks’ Business Services Department and the Department of Nursing are working together to develop and offer additional continuing education opportunities for nurses and health care professionals in the coming year. To begin the process, complete the online orientation associated with your specific course at ed2go. 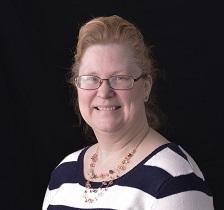 Additional information or answers to any questions related to Online Training can be addressed by Patricia Morgenstern, Dean of Academics and Extended Learning. West Michigan’s source for manufacturing solutions. Serving West Michigan manufacturers since 1989, MMTC-West supports manufacturers throughout the region’s 17 counties. From quality and continuous improvement programs, to new innovation and market diversification services, MMTC-West offers affordable, flexible assistance designed specifically for West Michigan’s small to mid-size manufacturers. The vision of the St. Joseph County Economic Development Corporation is to provide the place of choice for new and existing businesses. We especially encourage businesses that share a forward thinking and flexible approach to managing economic growth and change. Our vision also includes maintaining the homegrown values and individual identity, which make St. Joseph County both a great place to live and work. The Sturgis Area Chamber of Commerce is the voice of the business and community and is composed of people who share the common goal of ensuring that Sturgis is a good place in which to live and do business. The strength of our organization lies in our membership, from which ideas, energy and finances can be drawn — which, in turn, benefits other members and community. The mission of the Three Rivers Area Chamber of Commerce is to create a favorable community environment for business and industrial opportunity, enhancing the quality of life in the Three Rivers area. Your Chamber works for you by developing local industry, providing a forum for important issues and community growth, coordinating special events, drawing people together, providing business information, promoting the area, providing information, promoting tourism, leading a state & national voice, enhancing business & promoting education. 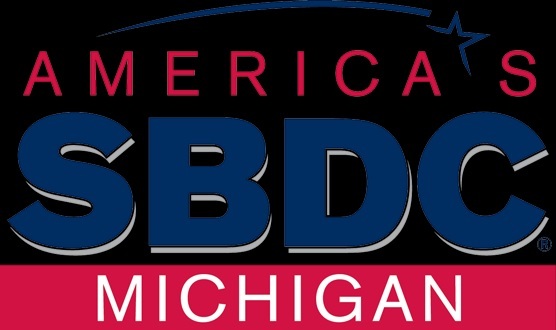 The MI-SBTDC Region 11 Southwest Michigan, located at Western Michigan University Haworth College of Business, is one of twelve MI-SBTDC statewide offices providing counseling, training and secondary research services to new and existing small business owners. Get “real world” advice from a SCORE business counselor. 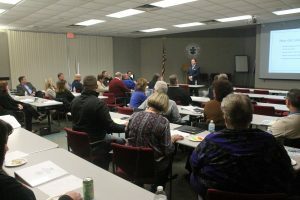 SCORE is available to Three Rivers and Sturgis area businesses for FREE “one-on-one” business counseling at the Three Rivers Area Chamber of Commerce or Sturgis Area Chamber of Commerce offices. Appointments are required. Call the Three Rivers Area Chamber office at (269) 278-8193 for appointments the first and third Wednesday of every month. Call the Sturgis Area Chamber office at (269) 651-5758 for appointments the first and third Thursday of every month. Find out more about this valuable business resource by visiting their full website. The Center for Online Education is a collection of online educators and experts committed to providing informed, research-based guides for students pursuing college degrees online. Formerly OnlineColleges.net, the Center for Online Education was created to reflect the extensive team behind the resources, rankings and original research on the site. What level of degree do I need to be successful? What jobs are available with a business degree? How do I find the best program for my budget and time? So many entrepreneurs are in need of a loan to bring their business vision alive. ConsumerAffairs has worked hard to put together a comprehensive overview of business loans, that features user/expert reviews. If you have any questions related to information located in this area of the website or Business & Industry in general, please direct them to Paul Aivars, Director of Business Outreach & Services (unless otherwise directed). 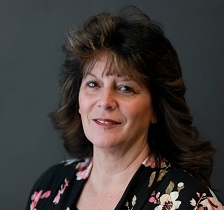 Questions related to apprenticeships, ed2go, or any other professional development should be addressed with Patricia Morgenstern, Dean of Academics and Extended Learning. If you are an employer interested in participating in the internship program, please contact Dawn Wood, Executive Assistant to the Dean of Academics and Extended Learning. For rental and pricing information for our facilities, please contact Diane Zinsmaster, Executive Associate to the President.